Note: Some offers mentioned below for the Southwest Rapid Rewards® credit cards are no longer available. So, how rapidly can you earn tons of Rapid Rewards points? Ultimately, that’s up to you and the strategies you employ. Luckily, there are 17 easy ways to earn tons of Southwest Rapid Reward points. To earn points, you need a Rapid Rewards account. Once that is set up, you’ll be ready to earn points from credit card sign-up bonuses, everyday spending, shopping portals, and more. The Southwest Airlines Rapid Rewards program, formerly called the Company Club, is a stand-alone frequent flyer program. Unlike loyalty programs such as American Express Membership Rewards, a Rapid Rewards membership does not require an affiliated credit card to start earning points. It’s that simple. While you do not earn any points for registering for an account, you’ll need to create an account to start earning points. Southwest will offer bonus points through email promotions, so make sure you’re signed up for Southwest emails too. Using credit cards is by far the fastest way to earn Rapid Rewards, and you can earn tons of points with a simple strategy. The Chase Ultimate Rewards program is the only bank partner of the Southwest Rapid Rewards program. While you might expect a co-branded Southwest credit card to be the best way to earn Rapid Rewards, you would be mistaken! Hot Tip: Earning Ultimate Rewards points and transferring them to Southwest is actually a much better way to earn Rapid Rewards points. Chase points are extremely valuable because you can transfer them to many different airline and hotel partners. This is a much better strategy than just collecting Southwest points; you’ll greatly increase your redemption options but can also redeem for Southwest flights as needed. Cards that earn Ultimate Rewards often come with amazing sign-up bonuses that can earn you tons of transferable points that can be used to book travel with Southwest. And don’t forget, Chase points are much easier to earn than Southwest points are when using one of Southwest’s credit cards. Bottom Line: We highly recommend collecting Chase points and then transferring those to Southwest Airlines at a 1:1 ratio if you want to book Southwest award flights. They’re easy to earn, come with huge sign up bonuses — and you have so many more redemption options with all their transfer partners. Southwest Airlines has partnered with Chase to offer Southwest Airlines credit cards. Note that since April 5, 2018 you cannot get more than one Southwest consumer cards at the same time. You also cannot get a second if you already have one of the cards or have received a new cardmember bonus on either card in the last 24 months. This rule does not apply to the Southwest business card. Unfortunately, you cannot earn bonus Rapid Rewards points for adding authorized users to these cards. We do not recommend signing up to a Southwest card if your goal is to earn Southwest points. There are much better cards out there that’ll earn Southwest points, see below to find out why. (If you’re looking to get the Southwest companion pass, then that’s different and warrants looking at these cards and their benefits. Chase regularly allows current cardmembers to refer friends and family. To sweeten the deal, they provide referral bonuses when anyone is approved after using your referral. Not all Chase cards participate in the referral program at all times, but you will often see the personal Chase Southwest credit cards and even some of the cards that earn Ultimate Rewards. Everyday spending on the Southwest cards can earn you a bunch of extra points per year. There are no big spending bonuses, however, besides the Companion Pass. While there are no credit card category bonuses, (besides 2 points per dollar on flights with Southwest) or big spending bonuses, you will earn 1 Rapid Rewards point per dollar on all purchases. Getting the Southwest credit card might not be worth it if you don’t take advantage of the sign-up bonuses and the 1 point per dollar on purchases. Luckily, there are plenty of bonus categories on the 6 different Chase Ultimate Rewards cards. Remember, to transfer to Southwest you must have one of the premium travel rewards cards that are starred below (“*”). These category bonuses and flexible redemptions really make Chase Ultimate Rewards the go-to points currency when you need to book with Southwest. If you’re gong to be shopping or dining out anyway, you might as well earn some extra Rapid Rewards points too! Credit cards aside, there are a lot of other ways to earn miles on everyday purchases through the Southwest Rapid Rewards Shopping Portal. Examples of Southwest shopping partners via the online shopping mall. When you click on a Rapid Rewards shopping partner, you’ll be redirected to your desired site after going through this redirection screen. Keep in mind that your purchase can be made with any credit card. However, if you use your Southwest credit card, you will be earning 1 point per dollar for your purchase in addition to the bonus points offered through the shopping portal. This is a great way to rack up points! The Southwest Dining program portal screen. Find hundreds of restaurants in your area to earn additional Rapid Rewards points! 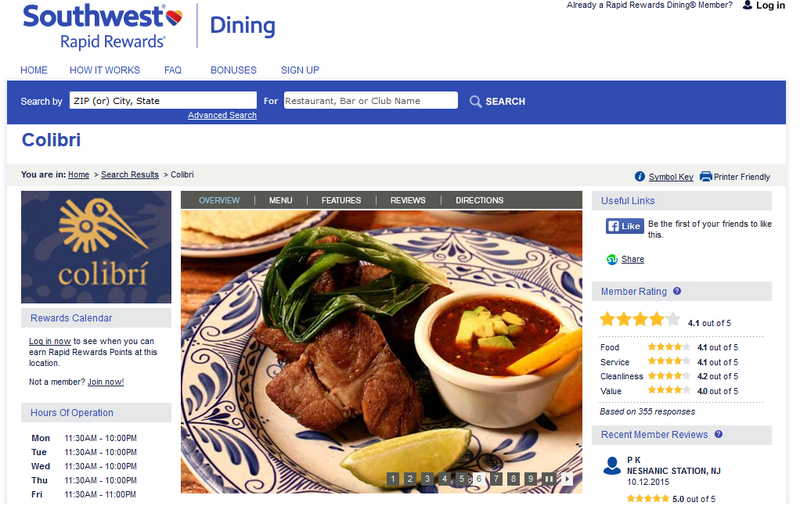 Like several other airlines, Southwest participates in the Rewards Network dining platform. The Southwest Dining Program makes it easy for you to earn Rapid Rewards points when you eat out at restaurants all over the United States. Click “Add A Card” on the right side and add any credit card you use at restaurants. It doesn’t have to be your Chase Southwest Rapid Rewards® Premier Credit Card! Simply eat at participating restaurants and use the registered credit card when you pay. Usually, you will earn 3 points per dollar at participating restaurants, bars, and clubs. You’ll also earn 10 points for every review you complete after each dining experience. First Bite Bonus – Earn 500 bonus points for signing up, dining at a participating restaurant within 30 days, and submitting a review for the restaurant. First Step Bonus – When you reach 1,500 points, you’ll be given an additional 500 points just because. Thank You Bonus – After you’ve earned the First Step Bonus, earn another 1000 points and you’ll be rewarded an additional 300 points. Bottom Line: Shopping online through the Rapid Rewards mall and dining out at participating Rapid Rewards Dining restaurants will help you earn tons of additional points. Finally, we arrive at the tried and true method of earning Rapid Rewards points: flying on Southwest Airlines. Earn 2x points via Southwest Airlines when using your Rapid Rewards credit card. More bonus points are earned based on your fare as well as your elite status. Luckily, with the Chase Southwest Rapid Rewards® Premier Credit Card and Chase Southwest Airlines Rapid Rewards® Premier Business Card, you earn 2 points for every dollar spent on purchases with Southwest Airlines. This includes all flights, in-flight purchases, and Southwest gift cards purchased through Southwest Airlines. However, you don’t need one of these cards to start earning on your travel purchases. Your Rapid Rewards membership will start earning you points on any Southwest flight you purchase regardless of the card you use to pay. Since Southwest Airlines is an independent carrier, you can only earn Rapid Rewards points on Southwest flights. Being limited to Southwest for earning points on airfare may seem like a major disadvantage, but you can actually earn a lot of Rapid Rewards points each time you fly with Southwest. The points you will earn on Southwest flights are much more than many other airlines tend to offer. If you love flying Southwest, then this is wonderful news! Of course, the number of points you earn will depend on the class of your seats. Southwest uses fun names to define their low-cost, standard, and business class seats: they’re called “Wanna Get Away,” “Anytime,” and “Business Select,” respectively. Points earned also depend on your status or “tier” as a Rapid Rewards member. If you’re able to reach either of these tiers, you will have the chance to earn more points on each flight than a general member. Once you have the info, you simply multiply by the base fare of your ticket. This is the price of your ticket minus the taxes and fees. For example, if your base fare is $250, you could earn between 1,500 points and 6,000 points depending on your tier status and fare class. That’s a solid number of points, especially compared to the points you would earn on flights with other airlines. Bottom Line: A-List Preferred members in Business Select seats will earn the most points on Southwest flights. Don’t forget to calculate how many points you would earn from using a credit card to purchase flights with Southwest Airlines. Many credit cards earn bonus points on travel purchases! Hot Tip: While booking with the Chase Southwest Rapid Rewards® Plus Credit Card is great for earning 2x points, you can also earn 2x points with the Chase Sapphire Preferred® Card…and you’ll have the flexibility to transfer points to other travel partners as well! Rent a car with any of the following car rental companies and you’ll earn 600 Rapid Rewards points per rental. Plus, if you pay with the Chase Southwest Rapid Rewards® Plus Credit Card, you’ll earn 2 points for every dollar spent. You can also earn 300 Rapid Rewards points for a round-trip booking with ExecuCar (SuperShuttle) if you need a shuttle to get you to and from the airport. This is a great option for big cities since taxis can get expensive and subways or other public transportation can take too long. If you’re in New York and need a great way to get from LaGuardia (LGA) to Manhattan, using ExecuCar can earn you 150 points. Hot Tip: Be sure to check the promotions section of Southwest’s Rapid Rewards website. Many of the partnering car rental companies will offer bonus points throughout the year that can earn even more points per rental. For more dwtails, check out our post dedicated to maximizing your Rapid Rewards points through car rentals. Rapid Rewards has 8 hotel partners where you can earn extra points. For even more points, earn an extra 150 points on your stay when you book your hotel stay through Southwest. Again, check the Rapid Rewards Special Offers page to get the latest offers from these hotels. Some of them offer even more bonus points during certain time periods. In addition to the above hotel partners, Rocketmiles is also a partner of Southwest Rapid Rewards. Rocketmiles offers between 1,000 and 10,000 Rapid Rewards points per night when you book a stay through their website. This is an incredible way to earn tons of points on a hotel stay without being limited to only certain hotels. Hot Tip: SouthwestHotels.com gives you options to book at hotel partners. 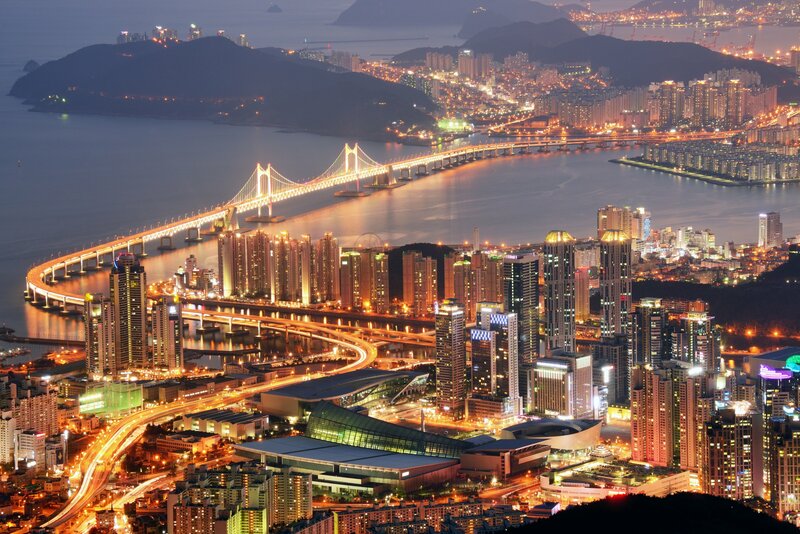 They often run specials giving you anywhere from 1,000-15,000 extra points per stay. One of our readers, Matt, told us that he just got the Southwest Companion Pass for 2017-2018 and 60k of his 110k points came from booking these hotels. Matt had six stays through that site that earned him an average of 10k each! You can transfer hotel points you earn through co-branded credit cards, but it is a terrible use of points. 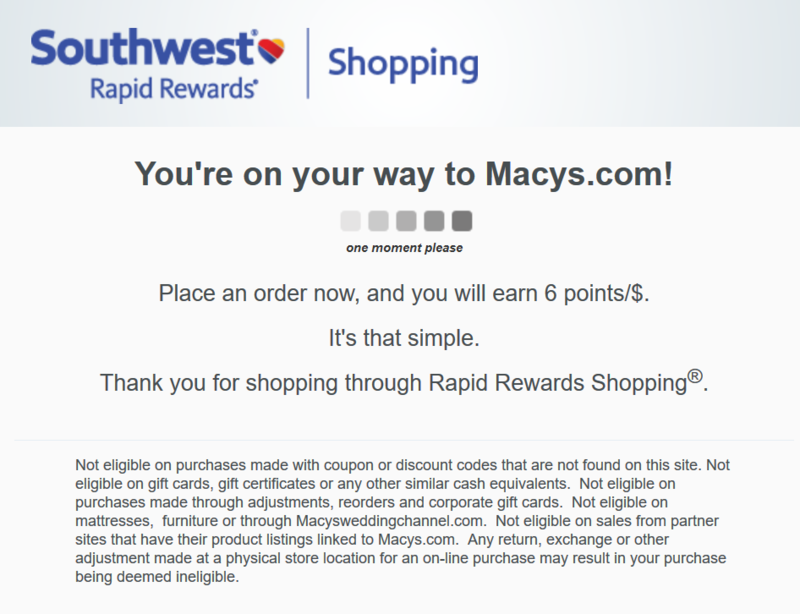 If you are in a pinch and really need Rapid Rewards points, it might be a good move. Otherwise, use hotel points for hotel award stays to get much more value out of them. Southwest offers some great vacation package deals, and you’ll earn Rapid Rewards points when you book them through Southwest Vacations. The points earned on each vacation vary depending on the package you choose and your status as a Rapid Rewards member. Hot Tip: If your booking includes MGM Resorts in Las Vegas, you’ll earn 600 extra points on top of the points you earn through purchasing the package. Southwest Airlines provides a few ways to earn Rapid Rewards that you might not expect. Be wary of these offers! The bonus points earned may be hefty, but those bonus points may not outweigh the cost of the product or service. You should always consider the cost of the services, as well as the terms and conditions, before diving in simply to earn extra points. 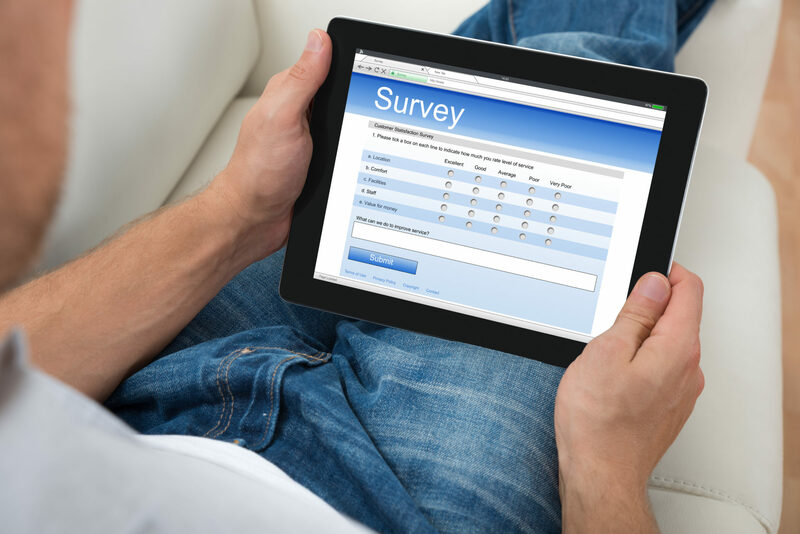 Surveys take time and the points earned aren’t astronomical. If if you need a few more points for an award booking or need account activity to keep your points from expiring, taking a survey for points might make sense. With that in mind, Southwest has partnered with e-Rewards. This means they know their customers are interested in participating in marketing research for points in return. There is no public registration directly with e-Rewards. Instead, you’ll need to be invited through Southwest Rapid Rewards to participate. With e-Rewards, the currency becomes points after filling out surveys. The e-Rewards currency you receive upon completing a survey can be transferred into Rapid Rewards points in set increments. You can transfer e-Rewards currency for as low as $15. This means 1 survey worth $15 could immediately translate into 300 Rapid Rewards points. You’re in luck if you’re a Diners Club International member. Southwest and Diners Club have partnered so you can easily convert your Diners Club rewards into Rapid Rewards Points. The transfer rate is not great at 5:4. This means for every 5 Diners Club Points, you’ll only receive 4 Rapid Rewards points. Ultimately, you’re losing 20% of your points, so this should only be done if you really need a few points to complete a booking. Hot Tip: Transfering points from Chase Ultimate Rewards at a 1:1 ratio is a much better deal. Sometimes you need to top off your Rapid Rewards account for an award booking. Southwest provides a quick and easy way to do that. Once in a while, Southwest will send emails to targeted Rapid Rewards members. These lucky members have the opportunity to earn 500 bonus points for every friend (up to 4) who joins the Rapid Rewards program. New members who join from the referral will receive 250 points as a welcome bonus! Since these are targeted offers, you may or may not be chosen to refer your friends. However, by signing up for a Rapid Rewards account, you’re eligible to receive the promotion. Once you have signed up for a Rapid Rewards account, watch your inbox for the invitation to participate! While buying Southwest points is generally a poor value proposition, occasionally a points sale can make it worth it if you need to top off an account. However, the general rule is to avoid buying points if at all possible. Hot Tip: Got a stack of Rapid Rewards points but no travel on the horizon? 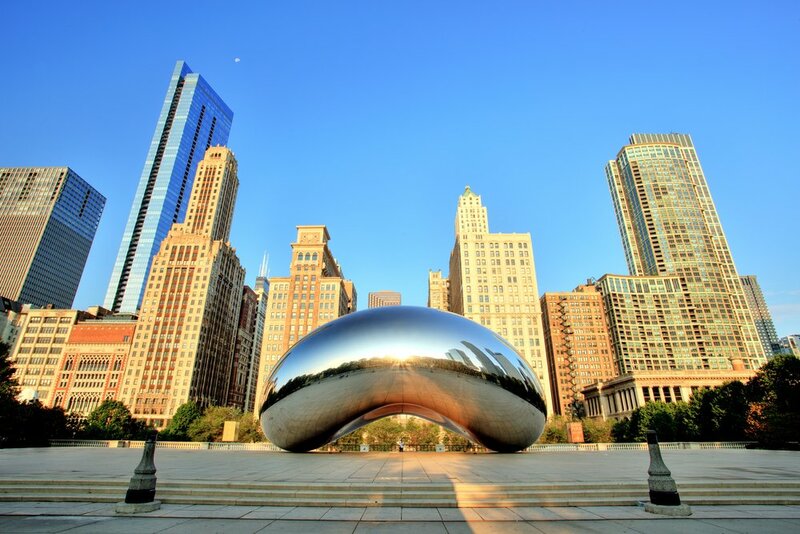 Check out these unique ways to use SWA points that don’t involve flying. While there are only 3 Rapid Rewards credit card options with limited ways to earn points, you can also utilize the Chase Ultimate Rewards program to transfer points to your Rapid Rewards account. There are several cards that earn Ultimate Rewards including the Chase Freedom Unlimited®, Chase Freedom®, Ink Business Preferred℠ Credit Card, Ink Business Cash℠ Credit Card, Chase Sapphire Reserve® and of course the Chase Sapphire Preferred® Card. Fortunately, there are many other ways to earn Rapid Rewards points through hotel and rental car partners. 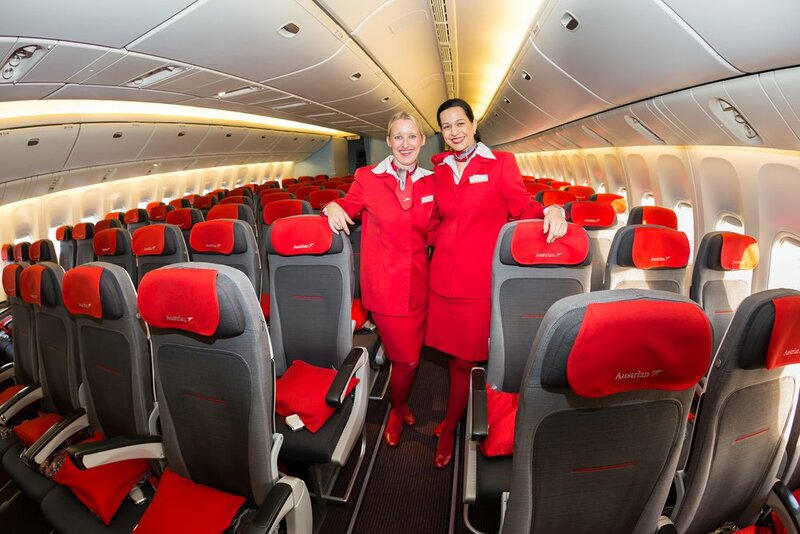 If you’re a few points short of an award flight, there are plenty of ways to earn those last few points and book your award flight. For even more ideas on earning Southwest Airlines points, check out out other article dedicated to the ways you can earn without even flying! What are Rapid Rewards points? Southwest’s points program is called Rapid Rewards. The points you earn and redeem are Southwest Rapid Rewards points. What are Southwest Rapid Rewards points worth? What credit cards can earn Southwest Rapid Rewards points? Can Southwest Rapid Rewards points be transferred? Southwest Rapid Rewards points cannot be transferred to other airlines. They can, however, be redeemed for hotel stays and car rentals, but this is not a great use of points. 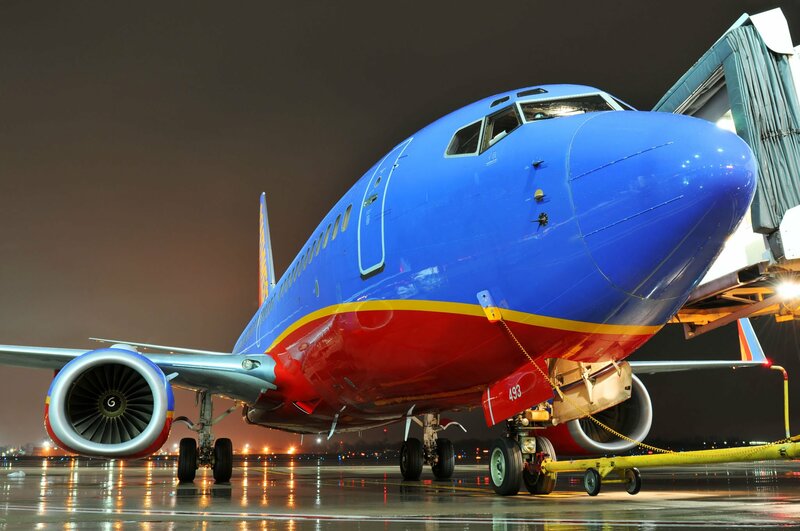 Are Southwest Rapid Rewards points transferrable to AirTran? When do Southwest Rapid Rewards points post in your account? Rapid Rewards points should post to your account within 3-7 days. If miles are missing after this time period, consider requesting missing miles. Are Southwest flights booked with Rapid Rewards points refundable? Yes. Southwest considers all flights paid for with Rapid Rewards points fully refundable when canceled prior to departure. Be sure to select “request a refund of the refundable balance” when you go to cancel your flight reservation. Can I get Southwest Rapid Rewards points for past flights? Yes. Find the Manage section of your account and select “Request past points.” Enter the flight confirmation number and submit. In 3-5 days you should see the past flight appear in your trip history of your account and receive the missing points. When do Southwest Rapid Rewards points expire? Southwest Rapid Rewards points expire after 18 months of inactivity. Simply earn or redeem miles a minimum of every 18 months to keep your account from expiring.